When shopping around it is important to always find out what manufacturer, style and quality of equipment will be used to perform your treatment. The receptionist and especially the technician should be able to give you that information on the phone, so you can log on to your computer in order to research the history, reputation and even existence of the equipment itself. A manufacturer website should be in existence if there is any quality to the machines themselves. Inexpensive, ‘no-name’ brand machines can be purchased from China and shipped here, which have no manufacturer or innovation behind the equipment to guarantee safety or even real results. Medical machines or Gold Standard Equipment, give the highest quality of results with the least amount of treatments; this is due to the machines possessing true laser and fortifying the skin while also zapping deep into the hair follicles. With a lower grade IPL or beauty/spa grade equipment, most will need double the treatments to get the same desired results, as well as running the risk of damaging the hair follicle to the point where it then is impossible to discontinue hair growth. What is almost as important as the quality of the machine itself, is the routine maintenance needed for the equipment regularly. Without proper upkeep of a machine, its power and accuracy gets lower and lower, downgrading the quality of your treatment and the effectiveness of it as well. 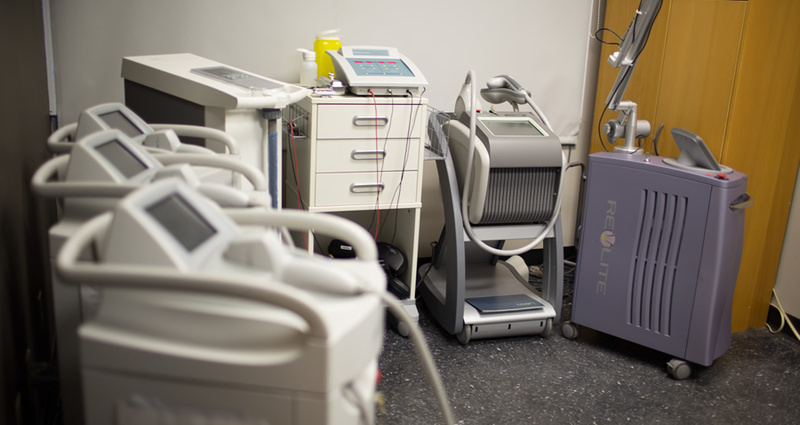 At our locations, the Laser Hair Centre uses Medical Grade, Gold Standard equipment manufactured by Lumenis, the leaders and inventors of the laser hair removal industry. We stop at nothing to assure the quality of our machines, with proper care and scheduled routine maintenance. Be sure to ask any clinic you should attend for proof of proper upkeep of their machines. Shopping Around? View our complimentary questionnaire guide to bring along with you on your hunt for a laser clinic, so you can ensure that you are getting proper treatments with quality equipment!